There are some things that you just have to do while in London. And going on the London Eye is one of them. However, I didn’t do it during my first visit because I was waiting for the perfect weather and I thought that it was a bit too expensive. Little did I know! So, fast forward two years and I’m back in London with my best friend and partner in crime (she’s a London lover as me) and we still had doubts about paying the expensive ticket to go on a giant Ferris wheel. That was in 2008 but during our October visit in the same year we finally decided to give it a go. We weren’t disappointed. We actually waited in a proper queue to buy the tickets and then again to get on the London Eye. It’s funny how it never stops; it just goes round and round with people getting on and off. Of course, there’s a security check in between boarding; the dog sniffed under the big seat to check for explosives I guess. Alas that’s the world we live in nowadays. 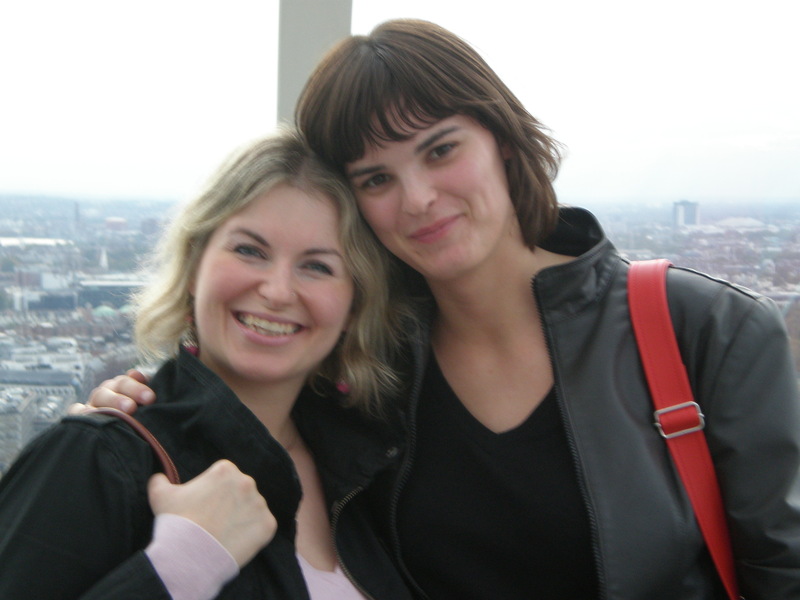 So, we got in the capsule together with a bunch of people and prepared to be dazzled by the views of London. Naturally, the first thing you see are the Houses of Parliament with Big Ben because they are just across the London Eye which is on the South Bank. 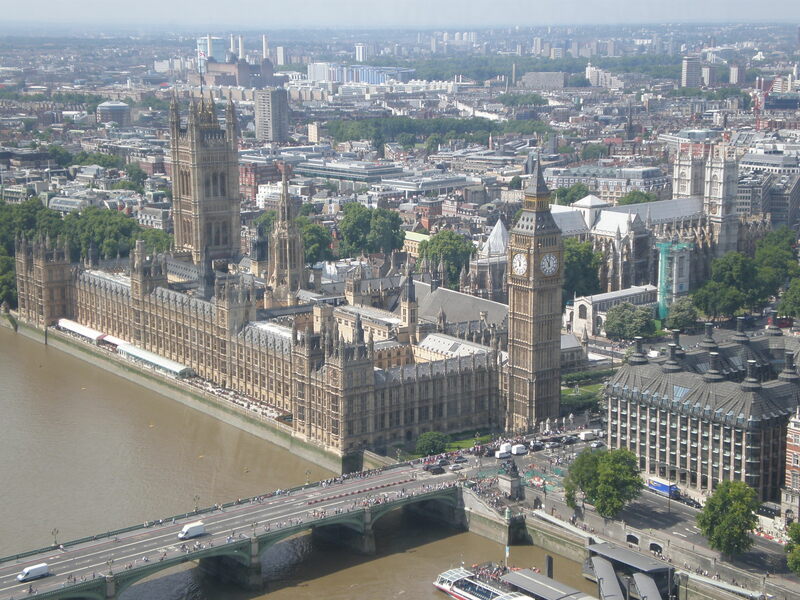 Did you know that Big Ben is the name of the bell inside the clock tower while the actual clock tower was called St.Stephen’s? But it was renamed recently into Elisabeth’s tower in honour of the Queen. 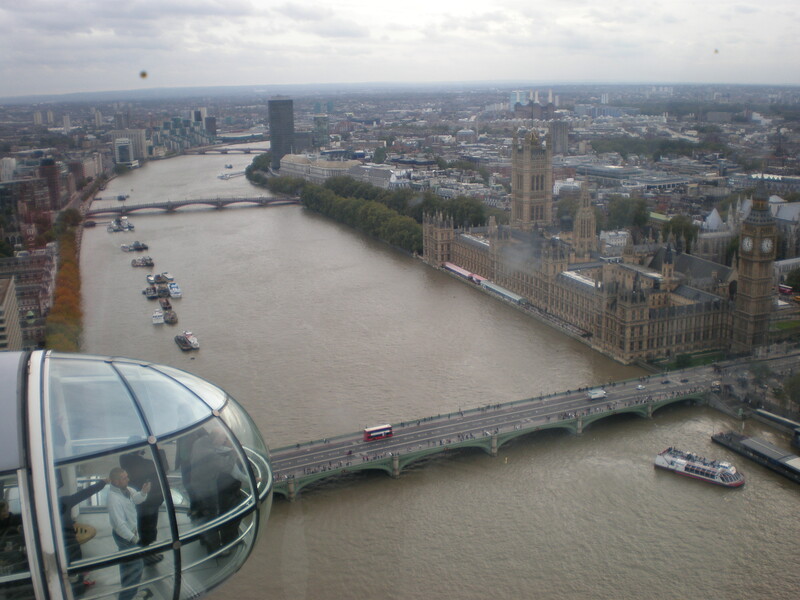 Since the capsule you’re in offers 360° views you can turn around and see a lot of London. For me, the second best view (after Big Ben) is the view of the St.Paul’s cathedral. 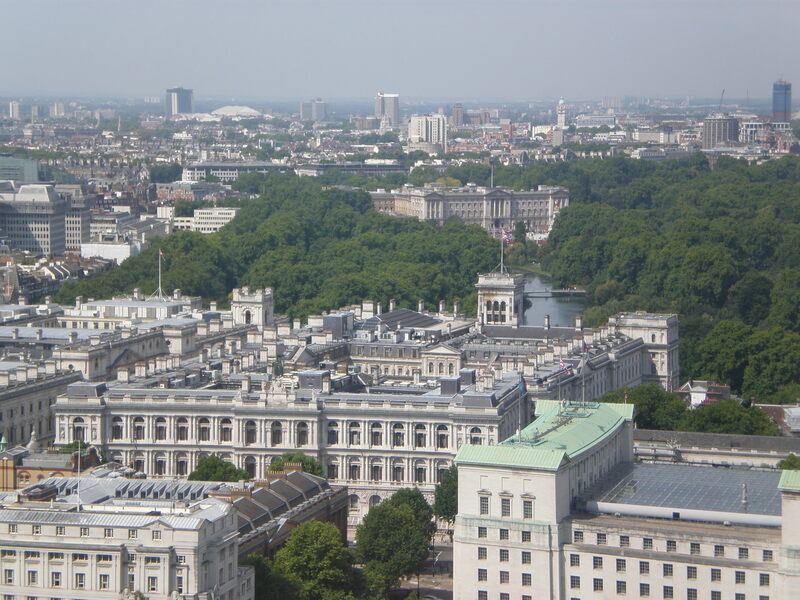 You can also see the Buckingham palace but you can’t see as far as the Tower Bridge and the Tower of London because the river Thames bends. 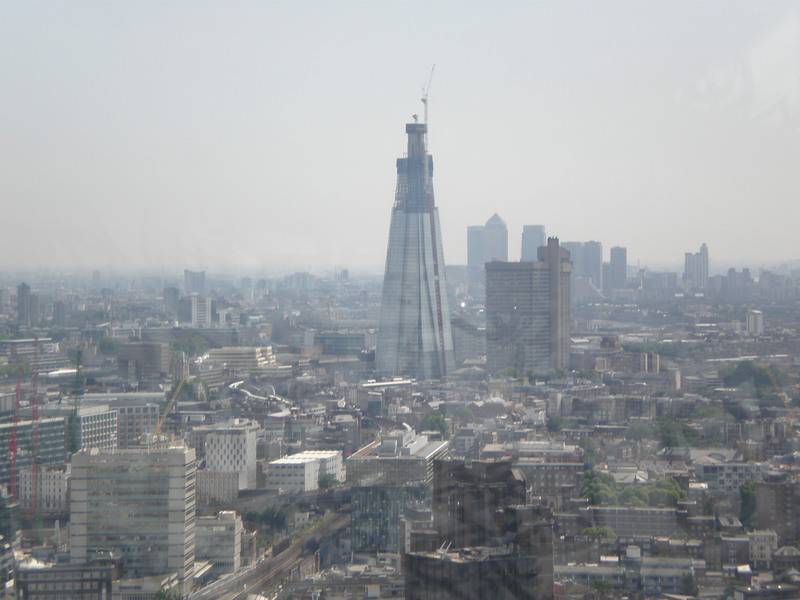 Of course , now you can see the Shard as well but it wasn’t even in the planning stage when we did the London Eye ride. You can barely notice that it moves. At the highest point it seemed to have stopped for a short time and then it slowly descended again and our ride was over. It lasted approx. 30 mins. Or at least it did back then. I did it again in 2011 (and then I saw the Shard but it wasn’t finished). 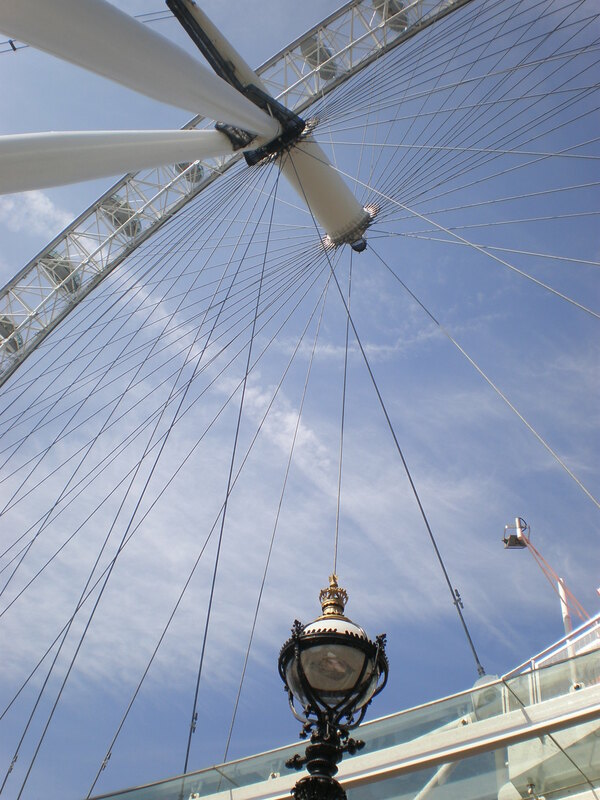 Anyway, I have so many photos of London but when I searched for photos for this post I realised that I don’t have that many decent photos from the London Eye. I didn’t go on another ride during my last visit to London in 2013 but I’d like to do it at least one more time but preferably in the evening to enjoy London when it’s all lit up. 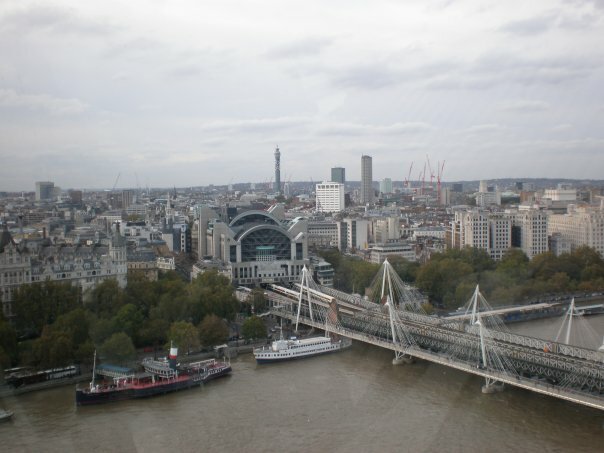 Taking a spin on the London Eye (I could never refer to it as Coca-Cola London Eye) is certainly something to do once. The birds eye views of the city are spectacular from it! I am sure an evening ride would offer an even different perspective, I’ll certainly add that to our list for a return trip to London. The Eye is a little expensive, and the Shard is ridiculous. 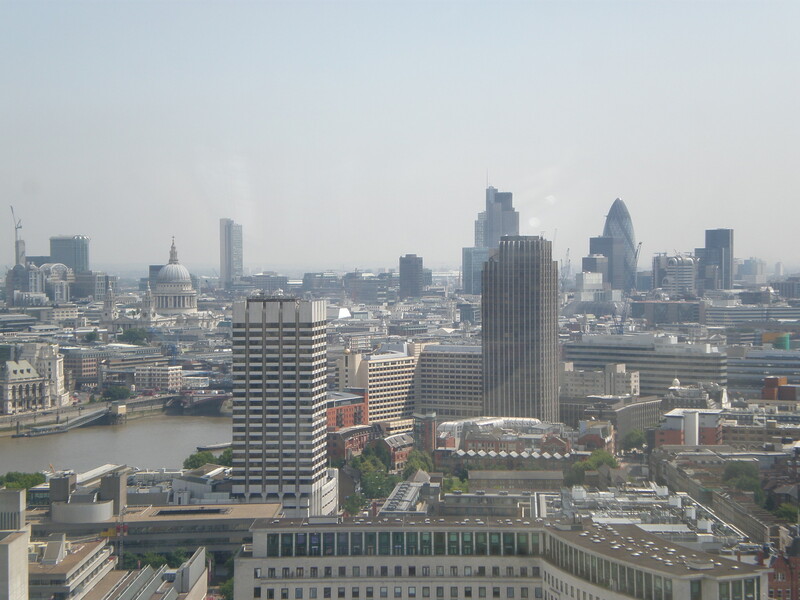 As a recommendation, and I say this without actually visiting yet (on my list), is to visit the walkie talkie tower with its glassed roof garden. Apparently it is free and you get fantastic views of the City. I’ve seen a lot of bloggers talk about it and it is on my list to do (hopefully in a couple of weeks). I’ve only been to London once, and have not been to the London Eye. To be honest, it’s not my #1 attraction when it comes to London. I really hope to see all the major museums first. But, if I have a bit of time left over after that, I certainly wouldn’t say no. I really like your photos. The views truly ARE spectacular, it seems! Yes, there are many interesting museums in London worth exploring. 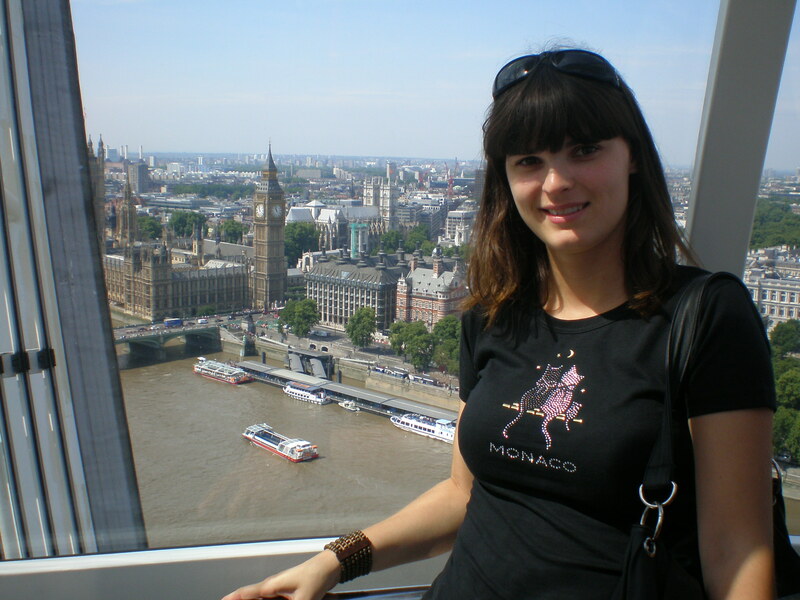 I only did London eye on my third visit to London:) And then I did it again because I liked the views! Loving the views! Haven’t been up there because I’m afraid of heights. Reading your story and seeing these photos are making me change my mind. You should go despite, it’s fun! I love those smiles! I actually rather adore the London Eye (but am rather confused about the ‘Coca cola renaming!?) I would definitely recommend going up on the eye at twilight! Never been up the Shard either but I love the London Eye. You got some great pictures, do it at night sometime, that is fantastic and completely different! 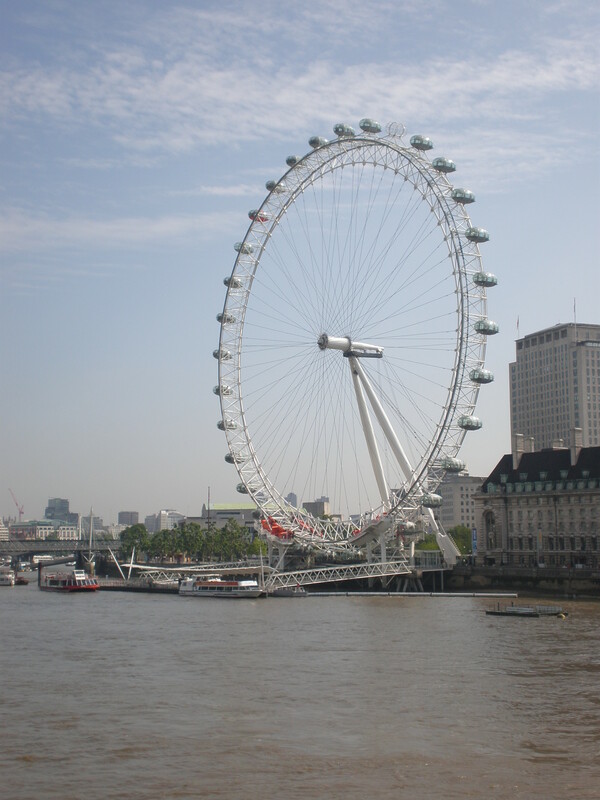 I’ve been to London twice and still haven’t made it on the London Eye! I definitely want to go now that I’ve read your experience and seeing your photos. What a great view of the city! Yes, you should do it.